On the 29th of May, the Hellenic Arrephoria festival is observed. The Arrephoria is a festival in honour of Athena in which white dressed women carry “unspoken things” (its speculated it was Athena’s peplos or spring water from an ancient spring) from the top of the Acropolis down to the sanctuary of Aphrodite which was located at the base of the Acropolis. Then another unknown item was taken back up to the top of the Acropolis in turn. Its assumed that this festival might of been part of the agricultural cycle which formed part of the fertility rites before the new year held on the solstice around June. This is an auspicious time to complete projects and remove things which are no longer needed in your life and cause stagnation in order to allow room for new opportunities to come into your life. On the 22st of May, the Hellenic Plynteria festival is observed. 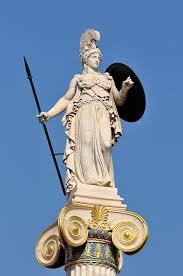 The Plynteria is a festival in which the statue of Athena Polias who guards Athens is cleansed. Women of the household of the Praxiergidai (the Athenian family tasked with the care of the statue of Athena Polias) would take the image and remove the robes, jewelry, then wrap it for a formal procession to the sea at Phaleron, where it was purified by sea water. At sundown the statue was taken by a torch lit formal procession back to the temple and re-adorned with clean robes and jewelry. This is considered an importune time and considered quite unlucky so Athena’s temple was closed and so its a good time to clean and revamp Athena’s shrines/altars/tools. 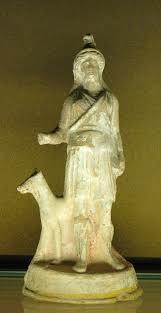 Offer figs or cakes containing figs to Athena. On the 21st of May, the Hellenic Kallynteria festival is observed. The Kallynteria is a festival in which the temple of Athena was swept out, her lamps refilled and lit by her Athenian priestesses. 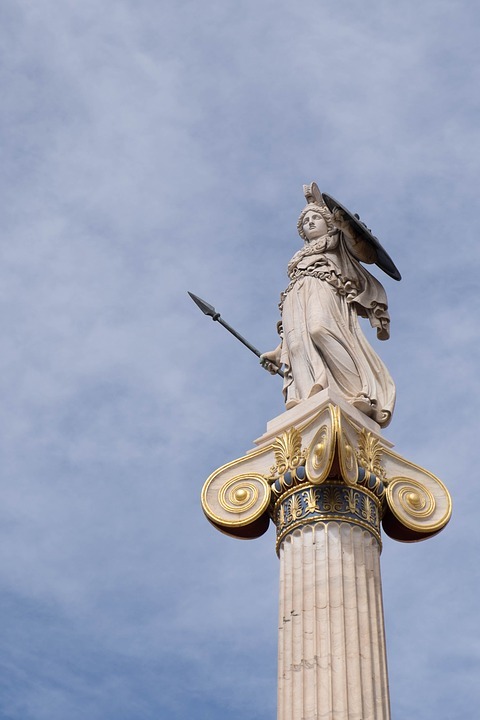 This is an auspicious time to clean and reset up your shrines or working altars to the gods – specifically Athena. Offer olive branches or olive oil. On the 16th of May 2017, the festival of Bendis is observed in the Hellenic calender. The Bendideia is a festival honoring when the cult of Bendis was brought to Athens and the patron is the Thrakian goddess Bendis. Identified with Artemis, Bendis shares several traits including that of huntress. Historically the festival included a procession which began at daybreak in the Prytaneion and ended at the Peiraios sanctuary of Bendis, a torch held horse race and all night festival which included feasting also took place. Offerings of wheat can be made to Bendis on this day.